Amazon today unveiled its first media streaming and gaming device, the Amazon Fire TV, confirming rumors of a proprietary media set-top box. 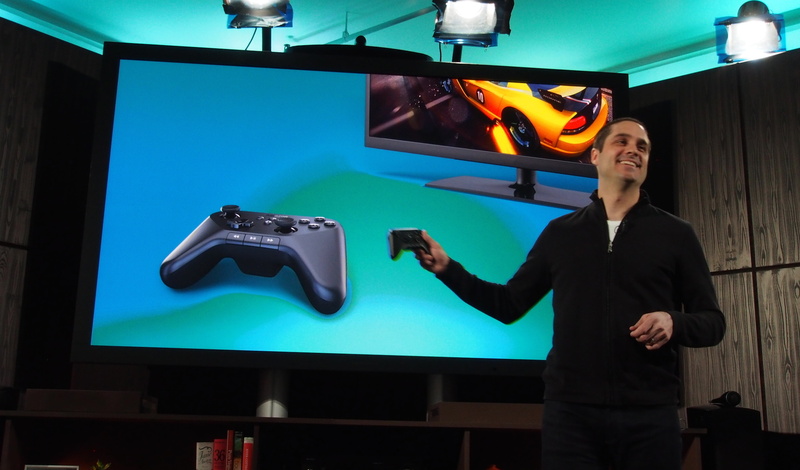 The device costs $99 and is available now in the US. The black square box is equipped with a quad-core processor, 2GB of RAM, and of course, runs on Android. The Fire TV launches with a number of video apps, such as Netflix, Hulu, YouTube, Vimeo, and Internet-streaming service Frequency. The usual social app suspects are also available, including Facebook and Twitter, and music apps like Pandora and iHeartRadio. The included remote control comes with a microphone for voice search, eliminating the lengthy process of typing sans-keyboard. The Fire TV also comes with an ASAP feature, a recommendations algorithm that preloads media based on the stuff you watch to reduce buffering. 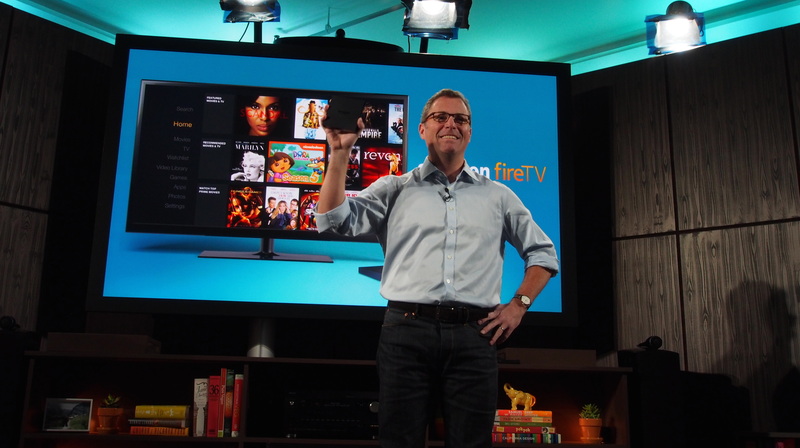 The Fire TV is an extension to Amazon’s “Fire” brand, which accounted for the Kindle Fire HD and HDX tablets. Just like the features included in the Kindle line, the Fire TV is equipped with the X-Ray feature to search movie and TV scenes for IMDB data. This time around, the Fire TV also adds a lyric database to display the words to songs in your library, adding a karaoke-esque experience. To make it family friendly, the device also adds a FreeTime Unlimited feature to allow kids access to children programming – from Sesame Street to Nickelodeon – without constant parental oversight. The gaming feature comes with a slew of popular partners on board, including TellTale Games, Sega, and Ubisoft (Amazon demoed Minecraft during the press event). The company is also working on original games via Amazon Game Studios. You can buy the Fire TV’s dedicated gaming controller for $39.99, and it comes with 1,000 Amazon Coins. A media streaming box is a natural progression for Amazon. It currently offers an array of original shows and has a multi-year deal with Epix, bulking the Amazon Instant Video library with movies from Paramount, MGM, Lionsgate, and more. The power of bonus Amazon content gives the Fire TV a competitive edge against the Roku – which offers video apps and gaming capabilities with its included remote control. The open ecosystem also allows Fire TV users to access their media without being trapped in an iTunes-only world of Apple TV. 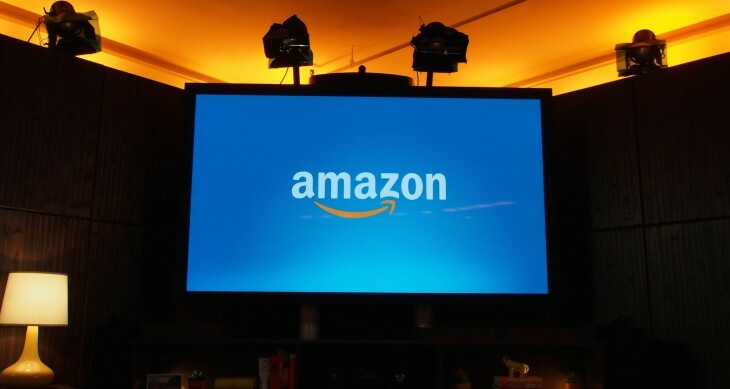 Amazon says it used customer feedback from its competitors’ sales via its own retail channel when building its own media device… but did the team get it right? Check out our hands-on review here.